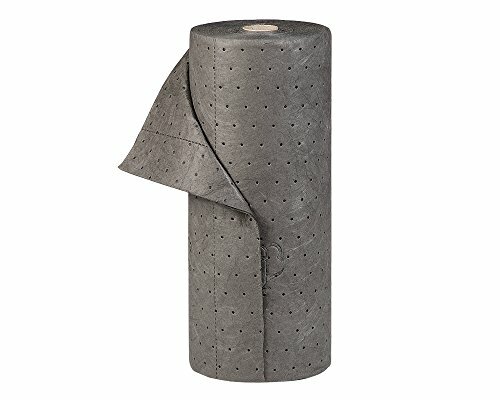 This highly absorbent garage workshop absorbent mat roll by New Pig is highly convenient for using in the garage and workshop to absorb oil, grease, auto fluids, paint, battery acid, sludge, grime, water, and more. The compact, grab-and-go roll size is perfect for handy men, auto shops, and Mechanics. The light-weight, Super absorbent mat gives you the absorbency you expect from New Pig, the leaders at dealing with leaks, drips, and spills, and at an affordable price.